Judgment was recently delivered by Hon. Justice Olaterogun of the Federal High Court in favour of The Chartered Institute of Arbitrators (UK) (the Plaintiff) against a body that described itself as The Chartered Institute of Arbitrators (Nigeria) Ltd/Gte (the Defendant). The Plaintiff instituted the action in passing-off against the Defendant as it was using the Plaintiffs name, logo and membership grades. The Defendant on the other hand, counterclaimed against the Plaintiff. In delivering its judgment, the Court held that by the use of the name 'Chartered Institute of Arbitrators (Nigeria) as well as the Plaintiff's logo and its membership grades, the Defendant was passing itself off as the Nigerian branch of the Plaintiff. Member firms Takenaka Partners LLC (Los Angeles, CA) and Stout (Chicago, IL) worked closely to unite Noritz Corporation (TSE:5943) and PB Heat, LLC. Takenaka Partners served as the exclusive financial	advisor to the acquirer, Noritz, while Stout served as the exclusive financial advisor to the acquiree, PB Heat. Although each firm represented its client independently and advocated for each party's best interests, this deal would not have been successful without the hard work and cooperation of both sides. Ultimately, through their efforts, Takenaka Partners and Stout ensured a transaction that was fair and	satisfactory to Noritz and PB Heat. "I always say that the most fair transaction is one where each party thinks that they could have gotten just a little bit more," said Yukuo Takenaka, President & CEO of Takenaka Partners. Mike Benson, Managing Director at Stout, added, "The combined organization of PB Heat and Noritz will complement each business' product offerings and geographies to help them prosper together." This transaction exemplifies the ability of World Service Group members to work with each other across borders and cultures to bring together leading companies that would otherwise not have had a chance	to partner. PB Heat will continue to operate and market its products independently of Noritz. However, bolstered by the strong financial backing and technical know-how of Noritz, both companies will be able to reach	new heights that neither could achieve individually. Jay Hassel, President and COO of Noritz America, and Doug Shuff, President & CEO of PB Heat, foresee a strong partnership and "look forward to a bright future as [they] continue to grow together." Takenaka Partners has been a leading provider of investment banking and consulting advisory services since 1989, specializing in global cross-border M&A transactions and strategic partnerships. Through its alliance with the YAMADA Consulting Group Co., Ltd. (JASDAQ:4792), membership in the	World Services Group, and strong connections with the largest Japanese merchant banks, Takenaka	Partners has the reach and influence to facilitate relationships with any major Japanese corporation. Takenaka Partners has strong relationships throughout Japan and also advises on numerous transactions	throughout North America, Europe, and Asia. Stout is a leading independent provider of Investment Banking, Valuation Advisory, Dispute Consulting, and Management Consulting services. With 21 offices globally, we serve a range of clients, from large corporations to privately held companies in numerous industries throughout the world. Our clients and their advisors rely on our premier expertise, deep industry knowledge, and unparalleled responsiveness on complex matters. Learn more at stout.com. Stout is a trade name for Stout Risius Ross, LLC, Stout Advisors SA, Stout Gmbh, Stout Bluepeak Asia Ltd., and Stout Risius Ross Advisors, LLC, a FINRA-registered broker-dealer and SIPC member firm. The terms "Stout" or the "firm" refers to one or more of these independent advisory practices. RedSpeed International is a leading supplier of technology-based solutions to the traffic enforcement industry, specialising in the development, manufacture and maintenance of digital enforcement cameras. Based in Kidderminster, the company has a primary focus on the UK market but is also seeing increasing interest for their products from customers in the EU and the rest of the world. Asters banking, finance, restructuring and litigation teams were led by partner Iryna Pokanay and included counsel Gabriel Aslanian, associates Vitaliy Kornev, Inna Bondarenko and Anatoliy Donets. Our partner Constantin Solyar and senior associate Marina Golovko took care of the tax part of this project. Asters antimonopoly team consisted of partner Alexey Pustovit and associate Olena Tsygulska. With a team led by Boris Dürr and Dr. Oliver Treptow, both from the firms Munich office, Heuking Kühn Lüer Wojtek advised private equity investor Auctus and its portfolio company GS Star Hotels on the acquisition of a majority interest in Rilano Holding GmbH. With this transaction, GS Star group is consistently implementing its expansion concept and expanding its offering to include additional hotels in Germany and Austria. Following the acquisition, GS Star group will grow to a scheduled sales volume for 2019 of over EUR 100 million. Rilano Group operates hotels throughout Germany and Austria under the The Rilano Hotel, Rilano 24 7, and Rilano Resorts brands. In total, Rilano Groups current hotel portfolio comprises eight hotels that are already operating and one hotel under construction. Additional hotels are also being planned. GS Star groups portfolio, which also includes Gorgeous Smiling GmbH, currently comprises 79 hotels in Germany, Austria, and the Netherlands. It acts as a franchise partner for global players such as Intercontinental, Hilton, and Wyndham while also operating hotels under its private label, Arthotel Ana. By 2020, GS Star group intends to operate some 100 hotels under management, thus becoming the fastest growing German hotel group. The group also has expansion plans for other European countries, including Switzerland and the UK. Boris Dürr's team regularly advises Auctus on transactions, including on its initial entry into the hotel industry through the acquisition of GS Star group in 2018. The Banking & Project Finance practice at Wardyński & Partners has advised a consortium of banks (Bank BGŹ BNP Paribas SA, Bank Millennium SA, Santander Bank Polska SA and PKO Bank Polski SA) in connection with restructuring of the debt of the Work Service SA group. The debt restructuring project of over two years included several complex annexes to the credit agreement, joining of the credit agreement by an additional lender and several guarantors, and systematic establishment of a number of security instruments in favour of the banks, including the groups foreign assets as collateral. A leading provider of secure IT infrastructure solutions in Europe, Conscia Holding acquires NIL Skupina, a leading IT services provider headquartered Slovenia, with subsidiaries in Serbia, South Africa and the United Arab Emirates. The Karanovic & Partners legal team - led by Senior Partner* Marko Ketler and Associate &Zcaron;iva Nucic, advised Conscia Holding in this transaction. The services included acquisition advisory, as well as a legal due diligence. Conscia Holding A/S is a leading European provider of secure, reliable IT infrastructure solutions, with a revenue of approximately EUR 268 million. The company employs more than 500 people and has offices in Denmark, Norway, Sweden, the Netherlands and Slovenia. NIL is widely recognised in the industry for its extensive technical expertise and this transaction further strengthens the Conscias position as a leading provider of IT infrastructure solutions centred around Cisco in Europe. *Independent attorney at law, practicing in Slovenia in cooperation with Karanovic & Partners. Morgan & Morgan represented certain investment funds managed by the Merchant Banking Division of The Goldman Sachs Group Inc. ("Goldman Sachs") in the negotiation of a Security Purchase Agreement pursuant to which Goldman Sachs acquired for US$300 Million, 12% Redeemable Preferred Stock of McDermott International, Inc., a Panamanian corporation (the "Company"), and a warrant to purchase a number of shares of the common stock of the Company. Beccar Varela Served as Counsel on Non-Recourse Project Financing for the Wind Project "Malaspina I"
The French renewable energy group Total Eren recently announced the closing of an agreement with the international banks KfW and FMO for the financing of the "Malaspina I" wind project, worth up to US$103,690,583.78. Central Eólica Pampa de Malaspina S.A.U. was awarded a Renewable Electricity Purchase Agreement within the framework of Resolution No. 202-E/2016 of the former Argentine Ministry of Energy and Mining (now reorganized as the Energy Secretariat). The company will use the funds to build a wind farm in the province of Chubut, Argentina, with a nominal capacity of 50.4 MW, consisting of 14 wind turbines supplied by the company Senvion with a nominal capacity of 3.6 MW each. KfW IPEX Bank and FMO organized the financing with the features and guarantees of a non-recourse project finance, combining two 15-year credit lines: one as an export credit, granted by KfW and guaranteed by Euler Hermes through a comprehensive political and commercial export credit insurance; and another granted by the Dutch development bank FMO. KFW IPEX Bank participates as facility agent and offshore security agent, and the branch of Citibank, N.A. established in the Argentine Republic acts as trustee and onshore security agent. 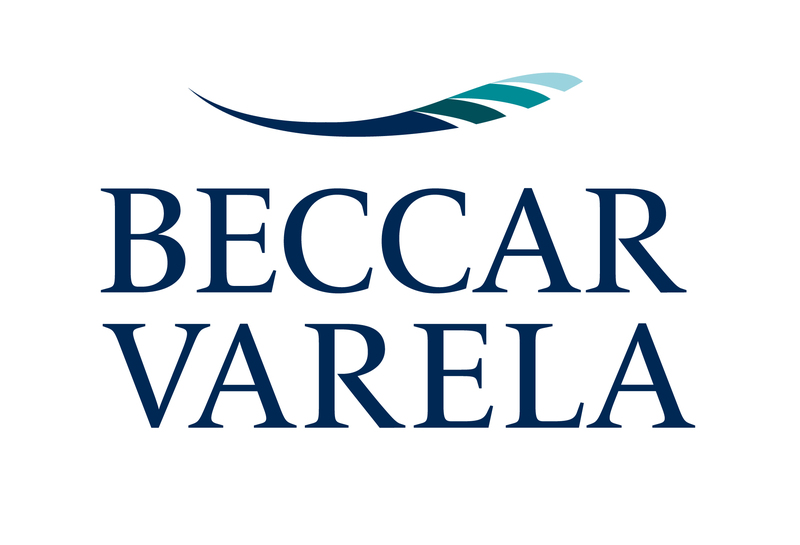 Beccar Varela: team composed of partner Roberto A. Fortunati, senior associates Daniel Levi and Nicolás Rukavina Mikusic and intermediate associate Dolores Rapetti Crossa, in collaboration with the firm's tax team, led by partner Santiago L. Montezanti, assisted by senior associate Enrique Lopez Rivarola and semi senior associate María Luján Callaci. Dykema, a leading national law firm, is proud to announce that the firms Public Finance Practice Group served as counsel for the underwriters on the Michigan Finance Authority $288.6 million bond sale that was named The Bond Buyers Midwest Deal of the Year for 2018. "The competition this year was stiff, with many very qualified deals under consideration," said Michael Scarchilli, Editor in Chief of The Bond Buyer. "We chose the finalists for innovation, the ability to pull complex transactions together under challenging conditions, the ability to serve as a model for other financings, and the public purpose for which a deals proceeds were used." The award-winning transaction was the Michigan Finance Authoritys $288.6 million bond sale on behalf of Wayne County. The deal funded the completion of a much needed new county criminal justice complex, while freeing up the existing construction site in downtown Detroit for commercial development. The Dykema team who worked on the deal includes Ann Fillingham, Jarrod Smith, Jim Kiefer, Gina Torielli, Matthew Shell and Andrew Switalski. The transaction marked a milestone for the previously distressed government. A pioneering financing structure including a limited tax general obligation pledge of the County and an intercept of state aid payments allowed the County to access public markets for the first time since 2010, paving the way for another high-profile display of Detroit's revival. The Bond Buyer details the transaction at-length in its article "Deal of the Year 2018 - Midwest: Michigan Finance Authority." According to The Bond Buyer, for the past 17 years, its editors have selected outstanding municipal bond transactions for special recognition. The 2018 awards, which considered deals that closed between Oct. 1, 2017, and Sept. 30, 2018, drew nominations that represent the full diversity of the communities and public purposes that are served by the municipal finance market. Dykema is also listed as approved bond counsel in The Bond Buyers Municipal Marketplace (its so-called "Red Book"), the principal directory of its kind. The Firms Public Finance practice represents a variety of state and local governmental issuers, as well as underwriters, purchasers, obligors, credit enhancers and trustees in all types of public finance bond and note transactions. The group's experience encompasses fixed-maturity and commercial-paper issues, issues involving derivative products, taxable and tax-exempt issues, fixed-rate and variable-rate issues, and publicly-sold and privately-negotiated issues. Several of the Firms attorneys are members of and active in the National Association of Bond Lawyers, the major professional association of the bond counsel community. Dinsmôre & Shohl LLP client SpotHero has finalized a partnership with ParkHub that will grow its current network of premium parking facilities by hundreds of new venues, making it one of the largest parking mobility platforms in North America. "We are thrilled to have helped our client navigate this transaction and arrive at a partnership that will have such a significant impact on SpotHero's growth and stature," said Bobby Lucas, chair of Dinsmores corporate department, who counseled SpotHero along with attorneys Allan Daily and Adam Vernick. "We are pleased to have brought them through rigorous negotiations to a successful closing, while protecting their best interests and business vision for the future." Pellerano & Herrera assisted International Finance Corporation (IFC) and IDB Invest in financing of real estate complex "Tropicalia", located in Miches, Dominican Republic, developed by Cisneros Real Estate. The firms legal team was led by partner Carolina León. For the financing of this $258 million project, IFC and IDB Invest provided loans for $79.5 million and $40 million, respectively. As part of the financing package, IFC mobilized $34 million from institutional investors through its Managed Co-Lending Portfolio Program. The IFC loan was entirely financed through Green Bonds, given Tropicalias projections for energy efficiency and other environmental considerations. IFCs Green Bonds program supports climate-smart investments as part of a broader shift toward a resilient, low-carbon global economy. This is the first financing by IFC and IDB Invest as sustainable high-end resort in Latin America and the Caribbean. Tropicalia is a sustainable resort in the Dominican Republic expected to start operations in 2021. The project is expected to create 1,800 jobs during construction, 500 jobs during operations and an inclusive supply chain that will link dozens of local entrepreneurs and farmers to hotel and tourist demand. Eventually, the hotel will source up to 70 percent of its food from the Dominican Republic - with more than a third coming from producers in Miches and nearby communities. 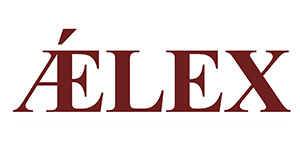 Pellerano & Herrera has been the leading law firm in the Dominican Republic for more than 30 years and has participated in the largest and most important cases and transactions in the country. The firm has the most complete and multidisciplinary team of lawyers, with vast experience in more areas of practice than any other firm in the country.